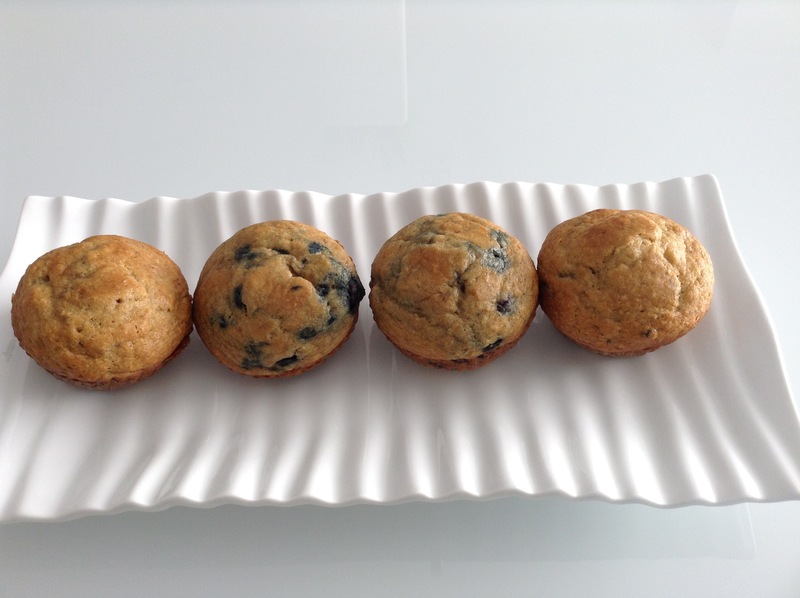 I made this new blueberry muffin recipe this morning and I must say they turned out pretty delicious. I used frozen blueberries for this recipe. Pre-heat oven to 375 degrees. Line and Spray 12 cup muffin tray. Mix together flour, sugar, baking powder, baking soda and salt. In a separate bowl mix together yogurt, egg, oil and vanilla. Mix dry ingredients into wet ingredients. Fold in the blueberries. Scoop batter into muffin cups. Bake for 20 minutes. Let cool for 5 minutes and then transfer to cooling rack for another 10 minutes. Enjoy!